Eli Roebuck was nine years old when his mother walked off into the woods with "Mr. Krantz," a large, strange, hairy man who may or may not be a sasquatch. What Eli knows for certain is that his mother went willingly, leaving her only son behind. For the rest of his life, Eli is obsessed with the hunt for the bizarre creature his mother chose over him, and we watch it affect every relationship he has in his long life--with his father, with both of his wives, his children, grandchildren, and colleagues. We follow all of the Roebuck family members, witnessing through each of them the painful, isolating effects of Eli's maniacal hunt, and find that each Roebuck is battling a monster of his or her own, sometimes literally. The magical world Shields has created is one of unicorns and lake monsters, ghosts and reincarnations, tricksters and hexes. 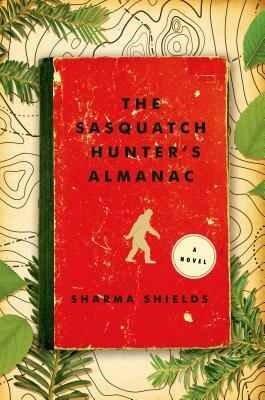 At times charming, as when young Eli meets the eccentric, extraordinary Mr. Krantz, and downright horrifying at others, The Sasquatch Hunter's Almanac is boldly imaginative throughout, and proves to be a devastatingly real portrait of the demons that we as human beings all face. Sharma Shields holds an MFA from the University of Montana. She is the author of the short story collection Favorite Monster, winner of the 2011 Autumn House Fiction Prize, and the novel The Sasquatch Hunters’ Almanac, winner of the Washington State Book Award. Her work has appeared in The Kenyon Review, The Iowa Review, Electric Literature, and more. Shields has worked in independent bookstores and public libraries throughout Washington State. She lives in Spokane with her husband and children.